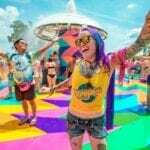 Held every summer in Somerset, U.K., Glastonbury Festival is a five-day event considered the highlight of England’s lively summer music festival scene. If you’re wondering where to stay for Glastonbury this June, we’ve rounded up the best Glastonbury Airbnbs below. Staying at the “Glasto” campgrounds at Worthy Farm is a unique experience, for sure, but there are tons of fantastic (and luxurious) Airbnbs available, too! The best accommodation for Glastonbury Festival can be found in and around the nearby town of Glastonbury itself. Located in Somerset, historic Glastonbury is home to the world-famous festival and so much more. There are many other interesting things to do in Glastonbury, like visiting the iconic Glastonbury Tor or seeing ‘King Arthur’s Tomb‘ in the ruins of Glastonbury Abbey. 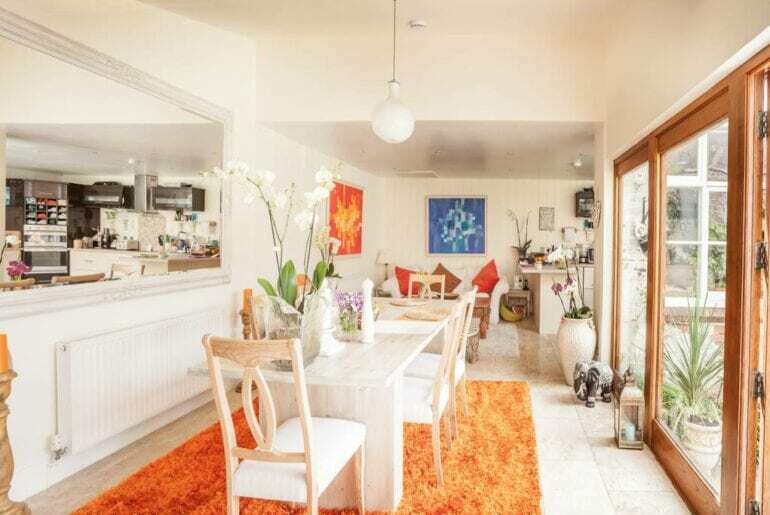 Since Glasto is one of the most popular events on the U.K. music festival calendar, the very best Airbnb homes for Glastonbury Festival tend to book fast! Check out our favorite Glastonbury Airbnbs below. If you’re looking for the best place to stay in Glastonbury, why not stay right in the heart of it all? 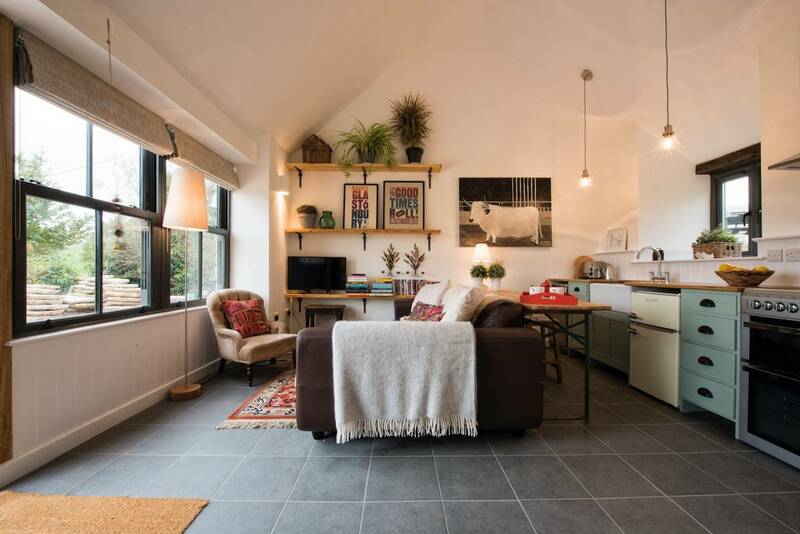 This beautifully-renovated Glastonbury Airbnb is just five minutes from the High Street. There’s space for 6-10 guests here, making it the perfect choice for a group of friends heading to the Glastonbury Festival this summer. In fact, this rental is still available to book during the festival weekend for around $600 a night. 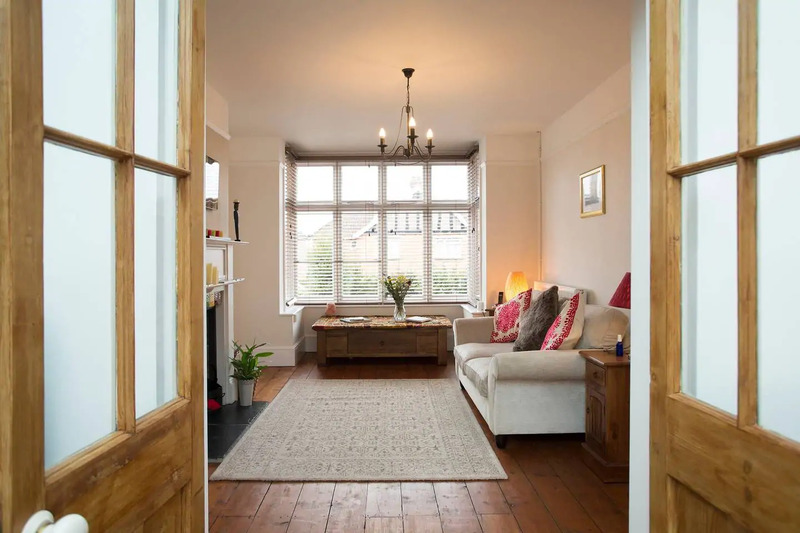 Though it has been recently renovated to meticulous standards, this charming home still has many original features including architectural fireplaces. The large, light-filled conservatory has been transformed into a fabulous dining space, ideal for group gatherings with a view of the lovely, private backyard and garden. Walk to Glastonbury High Street in just five minutes, where you’ll find plenty of quirky pubs and interesting shops to browse. This might be the most unique Glastonbury Airbnb on our list! 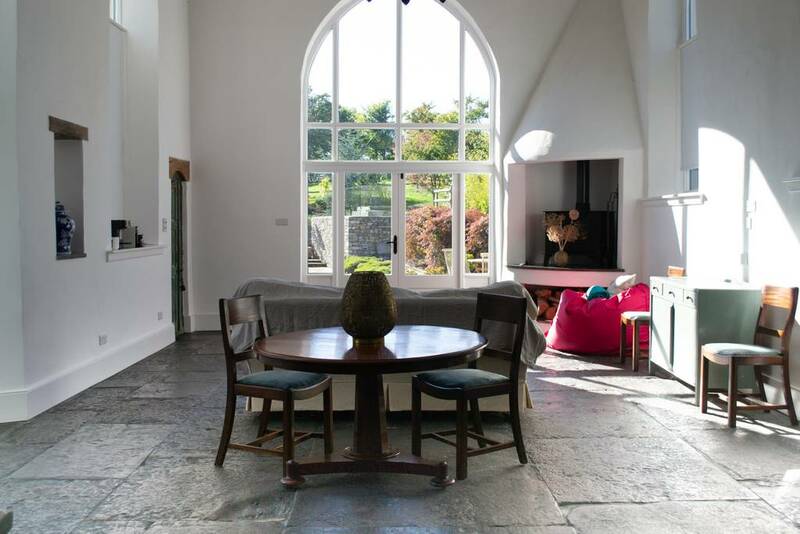 Instead of a stuffy tent, how about booking this magnificent, renovated chapel guest house near Glastonbury instead? Located in the quiet nearby village of Ashcott, you can easily grab the shuttle bus from Glastonbury town centre and head straight to the festival grounds. With space for 2 guests, this unique Airbnb would be ideal for a couple or even an adventurous solo traveler heading to Glastonbury. The main floor has soaring, loft-like ceilings and original flagstone flooring. The curved chapel windows remind you of the home’s unique history and character, while modern amenities like central heating have been added in the renovation. Don’t hesitate to book this unique and beautiful vacation rental, available over the festival weekend from around $300 a night. If country living sounds like your speed, you’ll adore this charming cottage just north of Glastonbury town. It’s the perfect, peaceful retreat after a fun-filled day spent at Glasto and it’s available from around $260 a night over the festival weekend. This cute Glastonbury vacation rental can accommodate up to 6 guests, with three bedrooms and 1.5 bathrooms. Nestled on a quiet, residential lane in Upper Coxley, Wells, the cottage is located less than a 20-minute drive to Worthy Farm and the Glastonbury Festival. The little town of Wells is oozing with country charm and there are multiple pubs and shops within walking distance. 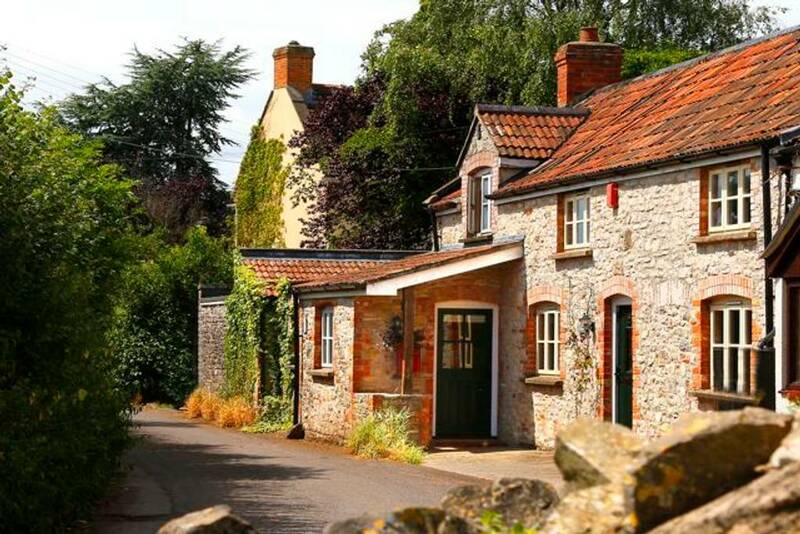 Enjoy an authentic English country getaway when you book this charming Glastonbury Airbnb! For a truly memorable stay, look no further than this stunning, renovated cowshed turned luxury Airbnb near Glastonbury. No detail has been overlooked during a truly magnificent renovation. This luxe rural retreat is available during festival dates from $670 a night, making it the perfect choice for a couple looking for a romantic Glastonbury getaway. Kick back and relax inside the cozy, inviting living space, equipped with an HD TV with Freeview entertainment. The farm-style kitchen is smartly appointed with everything you could possibly need during your stay, but there are many pubs and restaurants within driving distance if you prefer not to cook at home. Gorgeous touches like original sliding barn doors and a freestanding bathtub add to the luxury vibe. Truly, this place is so inviting you might not even make it out to the festival! 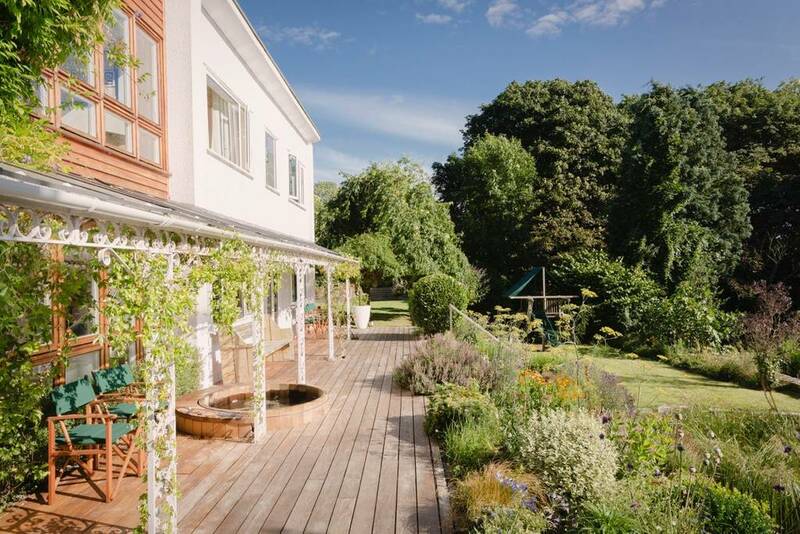 This stunning Airbnb with garden next to Glastonbury Abbey is still available during the festival weekend for around $500 a night. Originally built in the 18th century, this spacious home has been lovingly renovated while retaining much of its original character. The space is ideal for groups of up to 8 guests, with four big bedrooms and two full bathrooms. Retreat to the lush, private garden to escape from the vibrant energy of the Glastonbury Festival. This lovely courtyard is perfect for peaceful meditation, practicing yoga, or simply getting lost in a good book. With a truly unbeatable location right next to Glastonbury Abbey, you’re never far from welcoming local pubs, interesting shops, and all the historic things to explore in town. 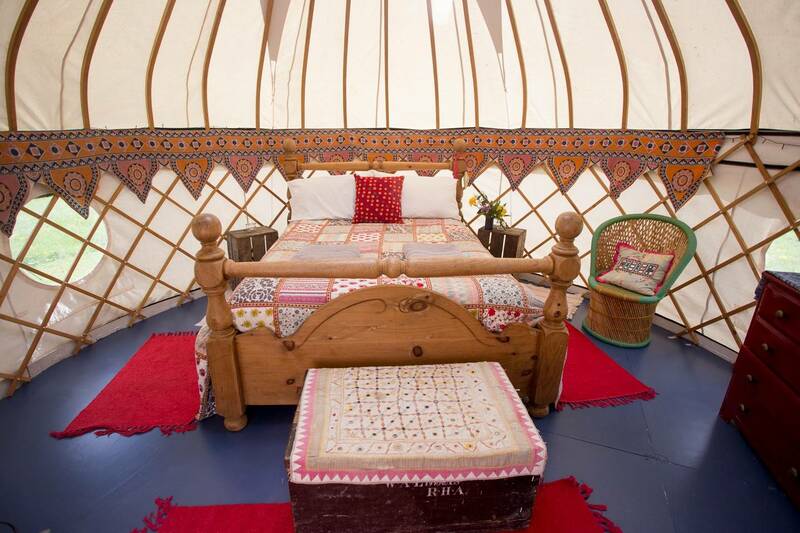 This is the ultimate Glastonbury glamping experience! Stay in a truly unique Airbnb near Glastonbury when you book this luxury glamping yurt with panoramic views of Glastonbury Tor. It’s even still available during the festival weekend from around $250 a night! This double yurt can accommodate two guests comfortably, with its own outdoor bathroom equipped with hot water. Enjoy exceptional panoramic views of Glastonbury Tor, where there are no backyard neighbors save for a few friendly horses and sheep. This incredible natural beauty makes for a peaceful, retreat-like atmosphere — the perfect place to unwind and recharge after a fun-filled weekend at Glastonbury Festival. 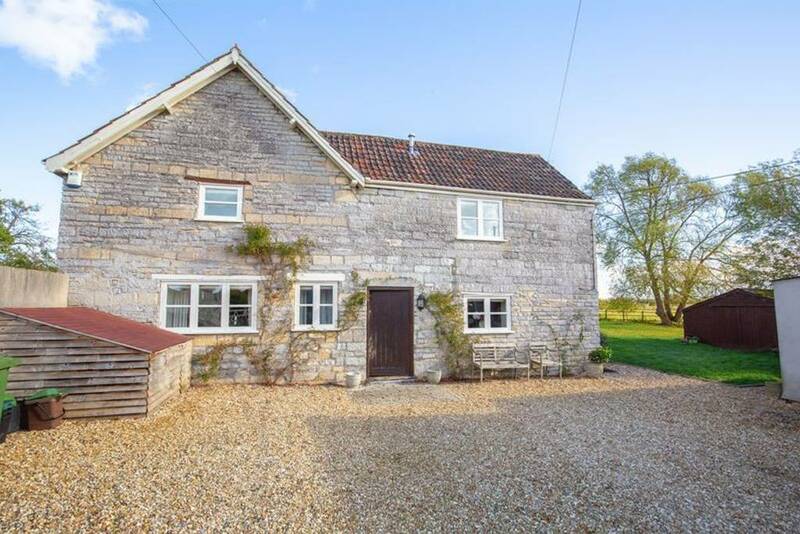 For a secluded country break during Glasto weekend, this large farmhouse Airbnb near Glastonbury is a fantastic choice. It’s available on peak dates for a cool $1,000 a night, but there’s loads of space for you and your small group to spread out in true English country style. Enjoy views of the scenic Glastonbury Tor and easily walk into the town centre, where you can grab the convenient shuttle bus that takes you straight to the festival. This beautiful vacation rental in Glastonbury features tons of historic charm, including a cute farmhouse-style kitchen fitted with modern Smeg appliances. The huge drawing room has stunning views of the Tor and features an original inglenook fireplace with wood burner. There are three bedrooms and one full bathroom, with enough space to accommodate 6 guests here in total. This exceptionally beautiful property might just be the best Glastonbury Airbnb on our list. Located next to the Tor with stunning views, this architect-designed, luxury Glastonbury vacation home is a real work of art. Imagine a relaxing soak in your own cedarwood hot tub, enjoying the sunset views over the Tor and countryside. The entire backyard is a magical space with blooming gardens, lush landscaping, and multiple ponds. Able to accommodate groups of 7 guests, this luxury Glastonbury Airbnb has four large bedrooms with scenic views and 2.5 bathrooms, including one with a freestanding bathtub. All this space and luxury comes at a price, especially over the festival weekend, with rates averaging around $1,000 a night. This splendid property would surely make for a memorable place to stay for the Glastonbury Festival, so be sure to snap it up quick!